In this paper, a concept of “symbiotic computing” is formalized to bridge gaps between Real Space (RS) and Digital Space (DS). Symbiotic computing is a post-ubiquitous computing model based on an agent-oriented computing model that introduces social heuristics and cognitive functions into DS to bridge the gaps. The symbiotic functions and agent-based architecture of symbiotic applications are also discussed. Based on the concept, functions, and architecture of symbiotic applications, we develop an agent-based care-support service to enable supervision of persons by their families and friends easily while protecting privacy. 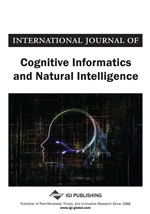 In this application system, a hierarchical structure of multi-agents is organized dynamically using heuristics in agents based on the situation of a watched person and watching persons. The system appropriately alters the contents and quality of the live video. The flexible system construction scheme using a multiagent framework facilitates the symbiosis of RS and DS by bridging the gaps in the care-support service domain.